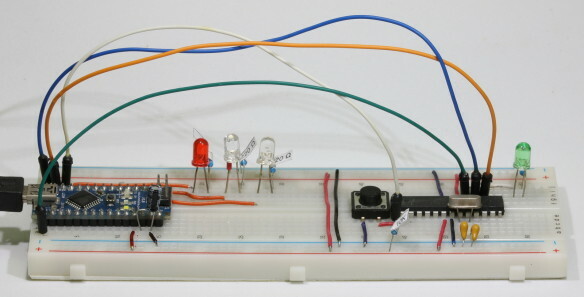 Here is my Arduino on a breadboard. There are many online guides for creating a breadboard Arduino. All are basically the same and follow the same connections. Some use pre-programmed chips, others use blank chips. 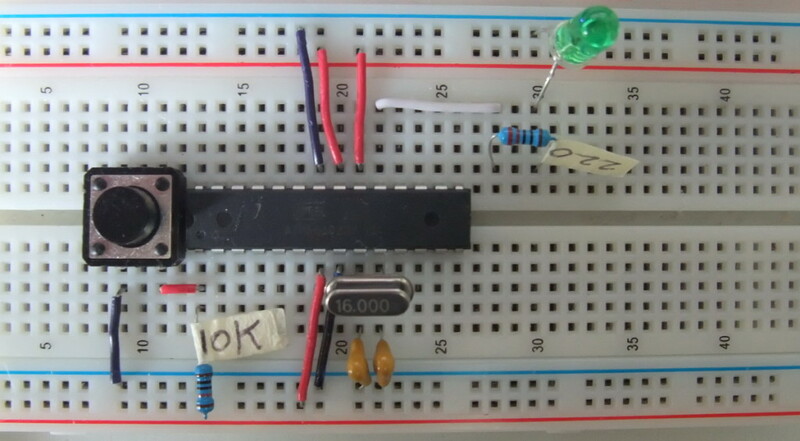 My intention was to use a new blank ATmega chip (no boot loader) and use an Arduino Nano as an ISP programmer.